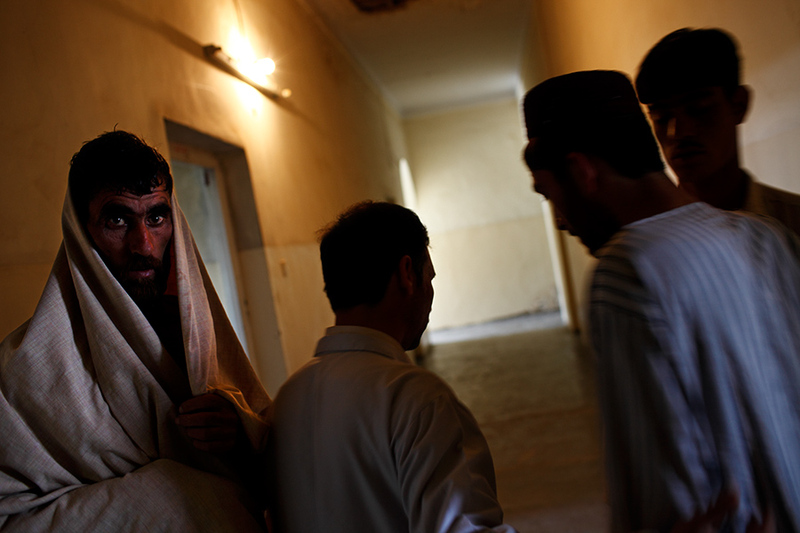 Patients stand in the hallway of the drug dependency ward at the Psychiatric & Drug Dependency Treatment Hospital in Kabul, Afghanistan. This hospital is the sole government-run hospital of its kind, equipped with only 60 beds. Twenty beds each for men’s and women’s psychiatric wards, but the remaining 20 beds for the drug dependency ward are only for the male patients.